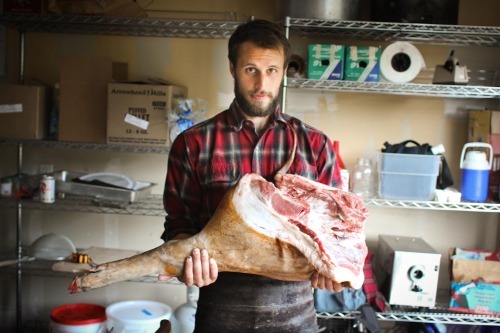 Farmstead Meatsmith, an animal processing business on Vashon Island, WA is campaigning to fund a series of instructional web videos focusing on home pork butchery and cookery. Each will focus on a particular process or dish, like ‘curing bacon’ or ‘shoulder butchery’, and they will be free to view on our website as they are produced. We need your help! Video production costs are very expensive and we’d like to do the series well, so we are trying to raise $10,000 to fund the project! Providing donations is a great way to get involved in the project, and any amount helps. If you are not in a position to donate, another great way to help out is to spread the word! Pass the project along to your foodie friends, gardener buddies and bacon enthusiasts who may be interested! Thanks so much for your help, we couldn’t do it without you.